At the law offices of Jay S. Baum, our aim is to provide our clients with aggressive representation when necessary while always providing representation which is caring and personal, qualities which are needed at a time of crisis. Jay S. Baum was born in New York City in 1957. A 1978 graduate of the University of Pennsylvania, Mr. Baum received his Juris Doctor from the University of Buffalo in 1981. 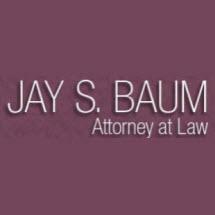 Jay Baum was admitted to practice law in the State of New York in 1982 and in the State of New Jersey in 1984. He has personally handled in excess of 2,000 divorces, from inception through conclusion. Mr. Baum serves as Trial Counsel to numerous other attorneys. He has prosecuted and defended numerous appeals in the matrimonial and family law field. Mr. Baum has litigated countless cases in the family court and has lectured extensively on the subject of divorce and family law. Jay Baum is a member of the Richmond County Bar Association, the Staten Island Women's Bar Association, the New York State Bar Association (including its Family Law Section) and the New Jersey State Bar Association (including its Family Law Section). Married to a teacher in the New York City Public School System, Jay Baum is the father of two sons and two cocker spaniels (a girl and a boy).